I’m going on a blind date for Valentine’s Day… without my husband. From what I’ve heard, my date is tall, dark, and likes to wear black. My date also happens to be a book — and the matchmaker was the Seattle Public Library. This February, the library is once again sparking book love by offering a Blind Date with a Book at the Central Library. Use the color-coded chart to find out a little bit about your potential match: a green heart means sci-fi romance, rainbow means LGBTQ, and red means Galentine’s Day books for ladies. 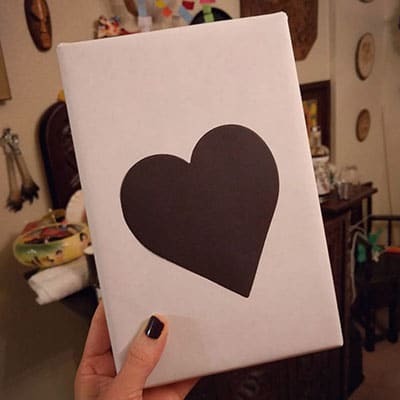 I decided on black, aka horror/dystopian, and picked out a wrapped book with a matching black heart, making sure to look away when I checked it out so it would be a true surprise! At home, I unwrapped the book (and was pretty impressed that the white wrapping paper was black on the inside to match). 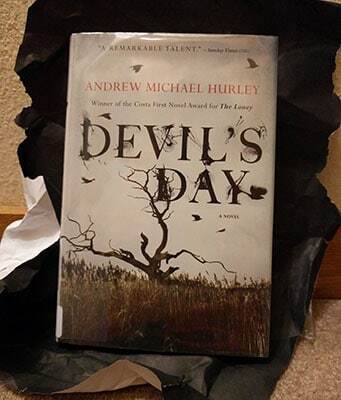 My date was Devil’s Day, by Andrew Michael Hurley, a spooky, slow-burning tale set in a very, very small farming community in rural England. The village isn’t thriving, and the few remaining families follow ancient superstitions to keep the Devil away by throwing him an annual feast — but it seems that evil may have found its way to their valley nonetheless. I’d never heard of the author or the book, and as any reader knows, it’s a real treat to be handed a totally new book they haven’t already read! And since we happen to be in the middle of a pretty serious snowstorm, I was more than happy to stay safely inside and read about a fictional snowstorm instead. 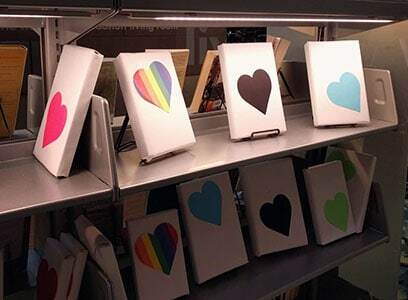 If you’re in Seattle and want to try a blind date with a book, the Central Library will be offering these color-coded romances through Valentine’s Day on February 14!